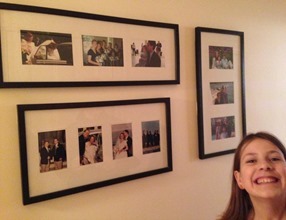 Product Review: Command Picture Strips – Display what you love! I’m a big proponent of displaying kids artwork and family photos. A few months ago my hallway was painted and now my husband and I had to hang back up all our family photos. 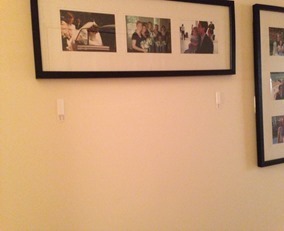 Hanging anything in our old home is a challenge because nothing is straight or level, but we tried a new product that helped: Command™ Picture Strips. 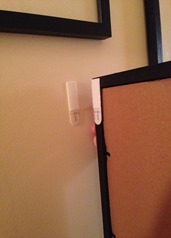 Like Command™ Hooks, you measure and adhere the strips to the wall first, and then put the other side of the strip on the frame. The Picture Strips worked so well, and the best part is that they won’t ruin our beautifully-painted walls if we decide to take the frames down.